Looks like the Denver Broncos will need to win with defense again this year. Quarterback Paxton Lynch has no idea where the football is going in practice. If you don’t know what you’re doing at the quarterback position, your NFL team is probably going to have a bad time. Peyton Manning is not walking through that door in Englewood, Colorado for the Denver Broncos. They have to choose between Trevor Siemian and Paxton Lynch. While Siemian can certainly hold his own under center, he’s not going to improve much past what he did in 2016. Since Denver used its 2016 first-round pick on Lynch, one would think that he’d be the future of the franchise. That’s starting to unravel fast. Here is him looking terrible in Broncos OTAs. Apparently this video is courtesy of Broncos defensive back Will Parks’ Snapchat account. While the video is supposed to delete itself in 24 hours, the whole world, especially the AFC West knows that Lynch has no clue where the football is going when he throws it. Players in OTAs are wearing helmets and gym shorts. Lynch is still missing his wideouts coming across the field on crossing patterns. Denver may have the defense to tread water in a brutal division, but that type of quarterback play won’t hold its own against the likes of Derek Carr, Philip Rivers and Alex Smith. Denver has by far and away the worst quarterbacking situation of the four AFC West rivals. Carr is an MVP level player. Rivers is a future Hall of Famer. Even Smith can win 10 games annually under center in Kansas City. The Broncos still have about two to three years to rebuild following their Super Bowl 50 win. However, that rebuild will only go as smoothly as the development of these two quarterbacks. 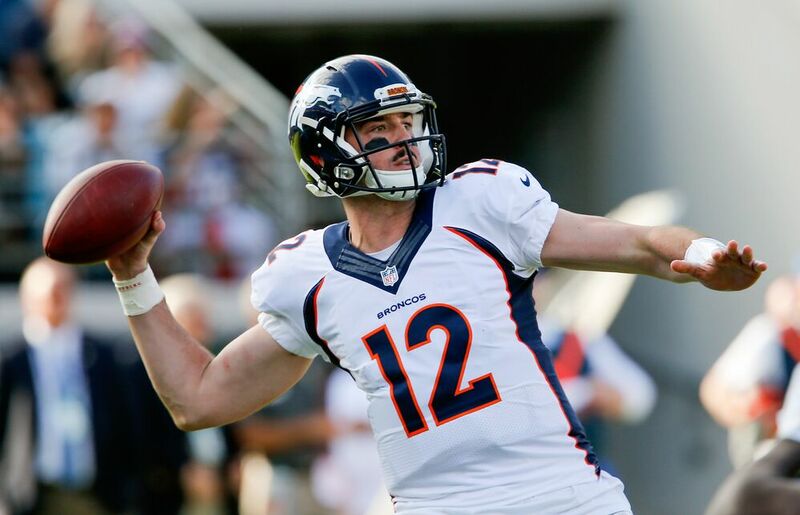 Unless Lynch can greatly improve his accuracy, expect Siemian to be the Broncos’ starter in Week 1.